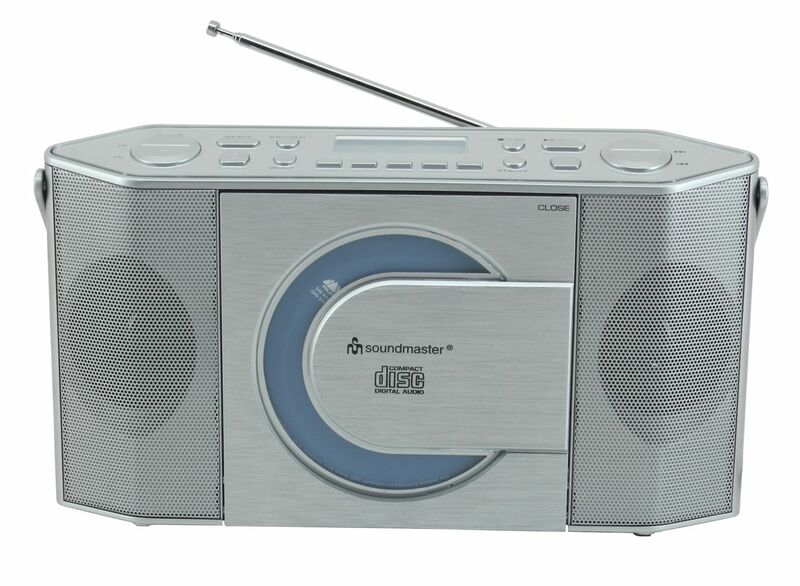 The Soundmaster RCD1770SI CD/MP3 digital radio immediately draws attention with its angular design. 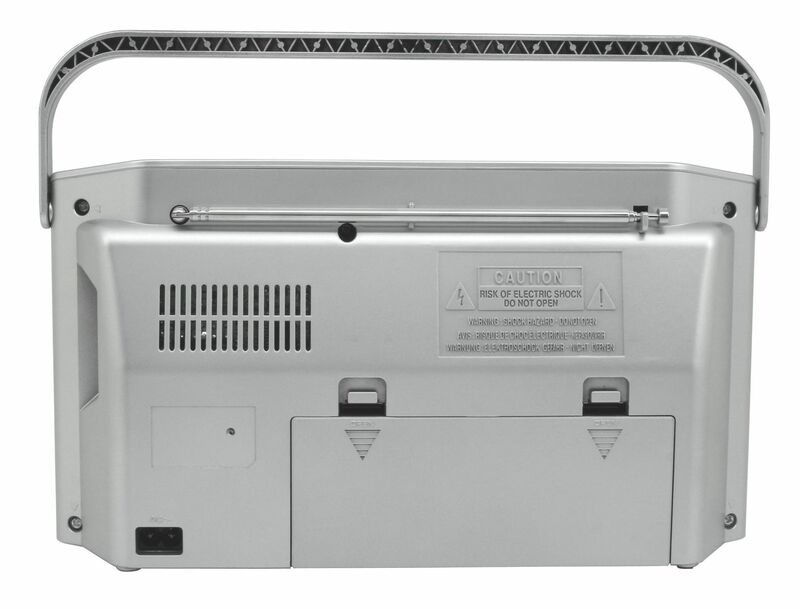 The portable radio’s controls and the LCD display are not found on the front, but rather on the top of the housing. 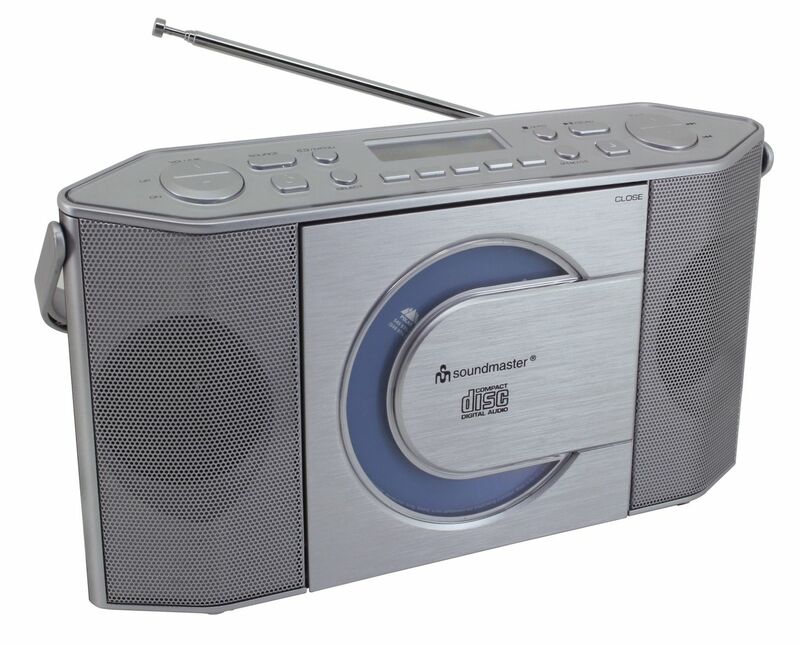 This allows especially convenient operation of the CD radio. 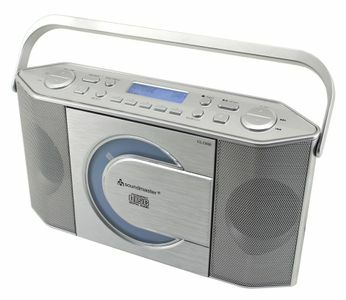 The CD player is found on the front of the housing and supports all popular formats: CD, CD-R/CD-RW, and MP3 CD. CD track programming and a repeat play function round off the features offered by the integrated CD player. The radio supports PLL FM as well as DAB+ digital radio, which allows you to receive radio stations in impressively high quality. The five separate station preset buttons offer easy storing and switching between your favorite stations. The portable radio with its practical carrying handle supports both AC and battery operation. 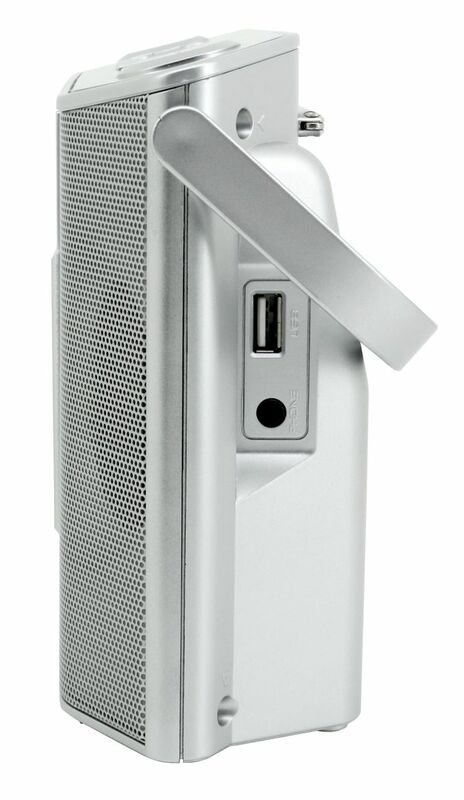 It will win you over with both its mobility and its powerful stereo sound.